The Museu Fundación Juan March in Palma de Mallorca has a permanent collection of seventy works by the most important Spanish vanguard artists of the twentieth century (Pablo Picasso, Joan Miró, Juan Gris and Salvador Dalí among them). The collection also includes representative examples of the innovative artistic movements of the mid-twentieth century with works by the most recent generations of Spain's artists. A total of fifty-two artists are represented. The Museum's galleries for temporary exhibitions display works by both national and international contemporary artists. 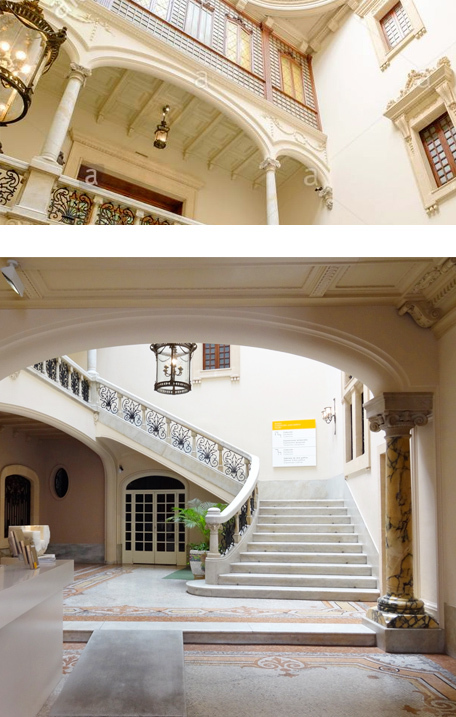 Inaugurated in 1990, the Museum is centrally located in Palma, in an eighteenth-century building of regionalist style with touches of modernist inspiration. As a result of its recent renovation and expansion, in 2003, it now has a major exhibition space and an assembly hall for cultural activities, classes and lectures, concerts for children, and other activities. The Museum's educational program, aimed at school children, college students, families, and diverse groups, includes guided tours and workshops. In the Museum Shop visitors can purchase numerous items such as catalogues, books, graphic works, and postcards.